The story of the evolution of the vertebrates, the animals with backbones, is fascinating. There is currently an explosion of new research ideas in the field - the closest fossil relatives of the vertebrates, dramatic new fish specimens unlike anything now living, the adaptations required for the move on to land, the relationships of the early amphibians and reptiles, the origins and biology of the dinosaurs, the role of mass extinction in vertebrate evolution, new Mesozoic birds, the earliest mammals, ecology and mammalian diversification, the origins and evolution of human beings. This book presents a complete outline of the history of the vertebrates, based on the latest studies by palaeontologists around the world. The work is international in scope, and new material included here for the first time come from North and South America, Australia, Europe, China, Africa, and Russia. A key aim of the book is to show how vertebrate palaeontologists obtain their information. 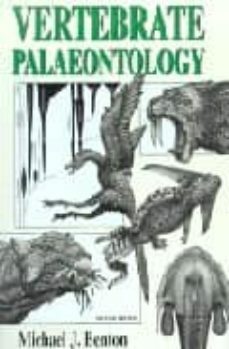 There is an illustrated account of how to dig up a dinosaur, and how to interpret the bones.In addition, detailed case studies are presented, which show how palaeontologists study taphonomy, exceptional preservation, form and function of bizarre animals, and reconstruct phylogeny from cladistic analyses of morphological and molecular data. The new edition is extensively revised, and there is a great deal of new material based on work in the 1990s. There is a new chapter on how to study fossil vertebrates. A further major change is that more emphasis has been given to the cladograms. They are set apart from the body of the text, and full lists of diagnostic characters are now given. The book is designed for palaeontology courses in biology and geology departments. It is also aimed at the enthusiast who wants to experience the real flavour of how leading palaeontologists design their research programmes and carry out multidisciplinary studies of ancient vertebrates. The book has a strong phylogenetic focus, and this makes it an up-to-date source of the latest broad-scale systematic data on vertebrate evolution.